Discussion in 'Builds and Fabricators Forum' started by Patrick, Apr 8, 2009. This is what's in This ! 3b a runnin and 73 cj5 like this. That is quite a power plant. Love it. Yes Sir.... It pushes my rig along quite nicely ! BTW, the plates are the PO's , I 'll post a new one , soon.... of my favorite Team & my Trade, all in one ! Here's mine as it sat when we left Alaska. Posimoto, Buildflycrash, SKT and 1 other person like this. Beach66Bum, melvinm, Posimoto and 7 others like this. 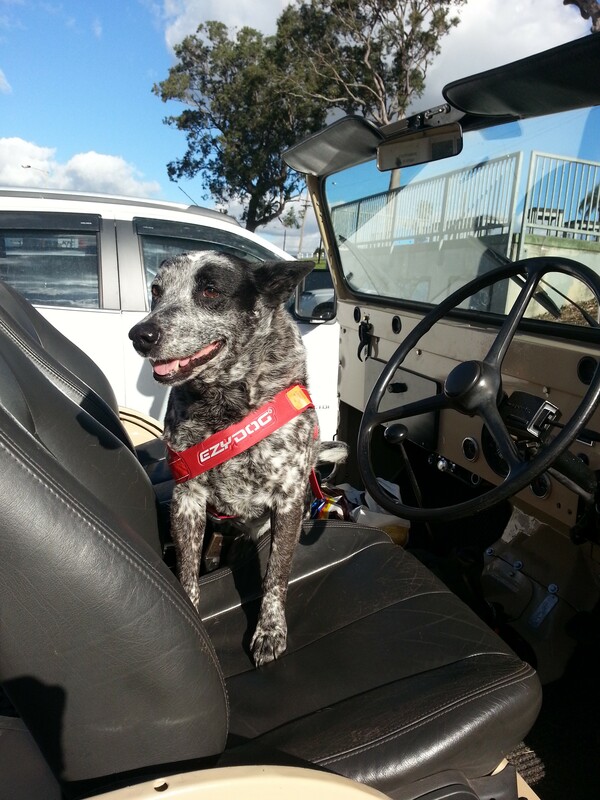 What is the harness deal you used on your dog there I would love to take my 2 healers jeeping but I don’t want them falling out. SKT, Beach66Bum, Bowbender and 2 others like this. It was an original Pontiac color, Chrysler copied it at some point in the '90's. I will get the code for you later today. 65seejayfive, Bowbender, SKT and 3 others like this. Doors off today! It’s getting warmer(ish)! 73 cj5, homersdog, Beach66Bum and 4 others like this. 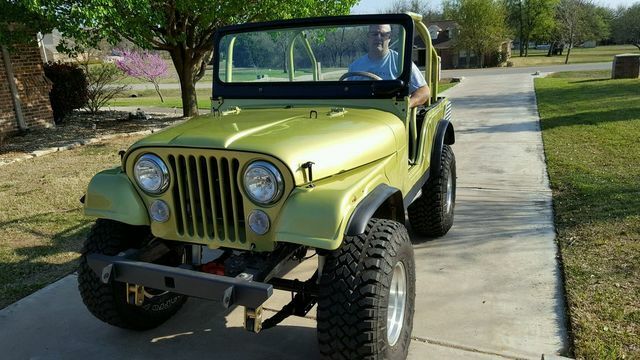 73 cj5, txtoller, homersdog and 5 others like this. 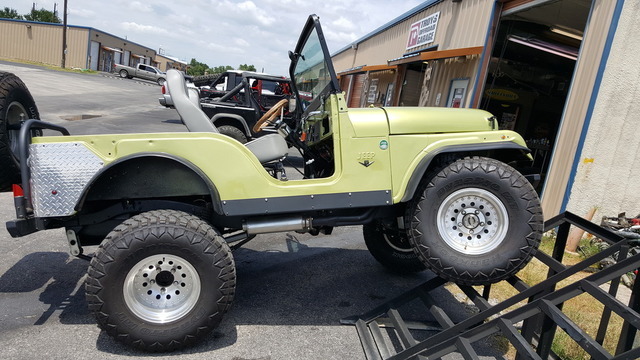 dozerjim, 73 cj5, Beach66Bum and 7 others like this. 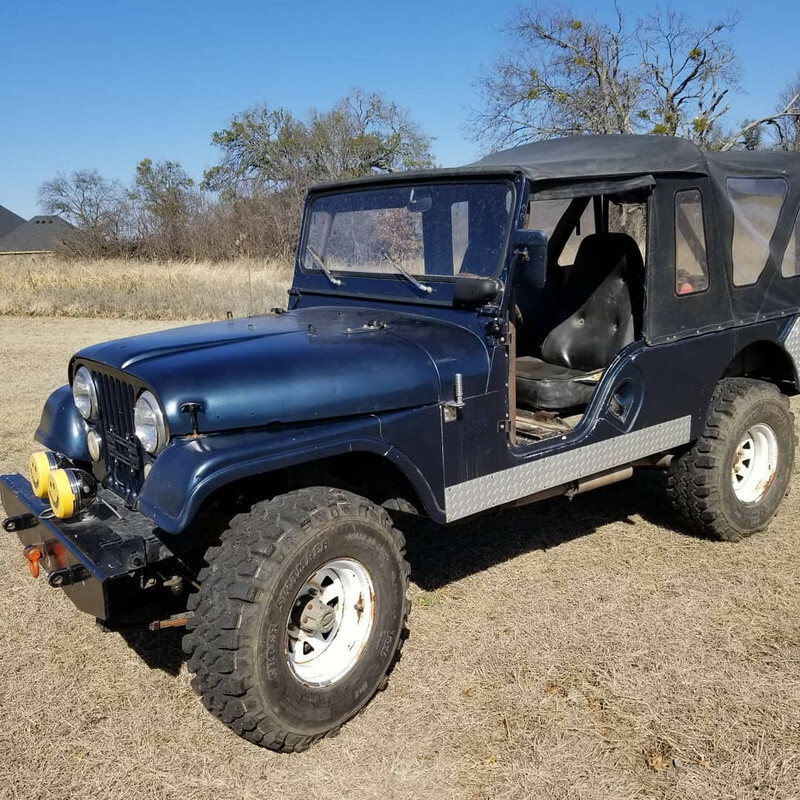 73 cj5, Buildflycrash, homersdog and 4 others like this.